On today’s episode, Mitch Jeserich hosts George Zarkadakis. 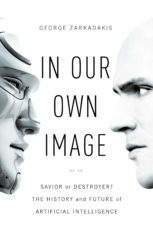 Zarkadakis, a PhD in Artificial Intelligence, is the author of several novels including his latest book In Our Own Image: Savior or Destroyer? The History and Future of Artificial Intelligence. The book explains AI’s history, technology, its potential; its manifestations in intelligent machines; its connections to neurology and consciousness, as well as — perhaps most tellingly — what AI reveals about us as human beings. Mitch also talks to Bart Ehrman about his book Forged: Writing in the Name of God – Why the Bible’s Authors Are Not Who We Think They Are. Ehrman is a professor of religious studies at the University of North Carolina at Chapel Hill. 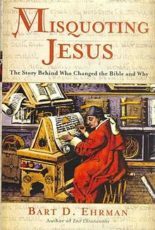 His book suggests that some of the New Testament’s books were written as forgeries.